The past couple days we’ve featured some DC Comics posters. 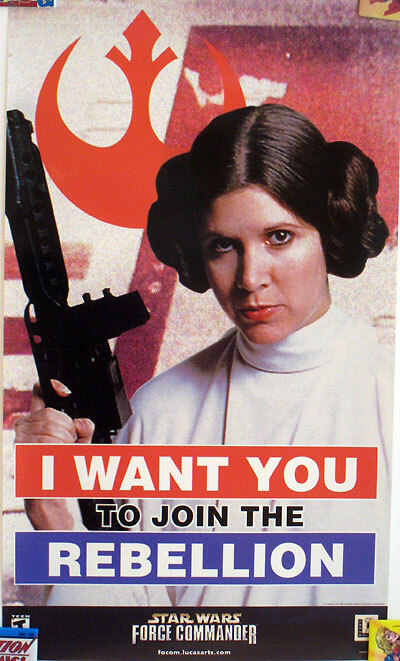 Well, today we’ll tackle some Star Wars posters! I’ve owned many more Star Wars posters than just these over the years, but the following are still in my possession. Tomorrow we’ll finish up our poster coverage with some other films, some Marvel comics, television, and other geeky posters. Please feel free to share any of your favorite posters in the comments! The image on this first poster was done by Boris Vallejo and has been reproduced a number of times. This poster states “Collector’s Edition”, but I honestly have no idea what they are referring to. Perhaps the poster itself, perhaps a re-release of the film, who knows. Regardless, it’s a pretty sweet looking poster! The next four are movie theater one-sheets. A one-sheet is a type of poster sent by a film company for theaters to use in advertising. They are typically larger than regular posters and are two sided. The front has the image you are promoting, the flip side has the same image reversed so it looks good when lit from behind in a theater poster case. The images used below for Star Wars, Empire Strikes Back, and Return of the Jedi are not actually my own photos. I had to use somebody else’s photos because my one-sheets are framed and the glass is too reflective for photography. Here is the one-sheet for Star Wars – Special Edition in 1997. I was working for AMC Theatres at the time and was totally thrilled to have the Star Wars films playing in my theatre. Regardless of how I felt about some of the changes, seeing Star Wars on the big screen again was AMAZING! 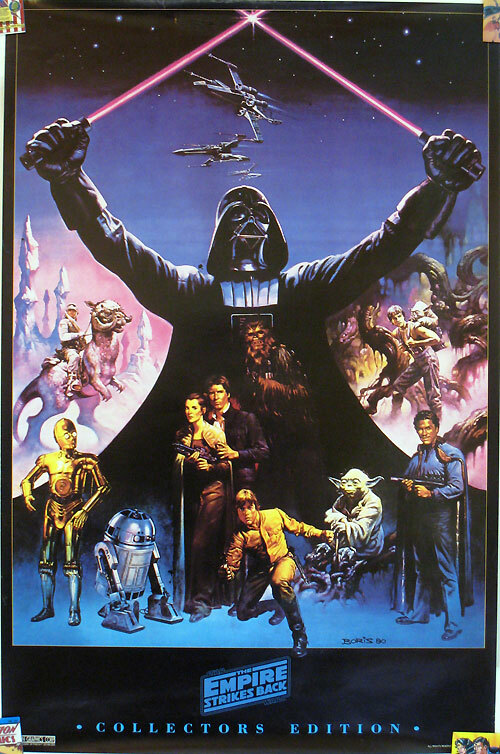 Next up is The Empire Strikes Back – Special Edition one-sheet. Interesting to note is that the poster lists February 21, 1997 as the release date. 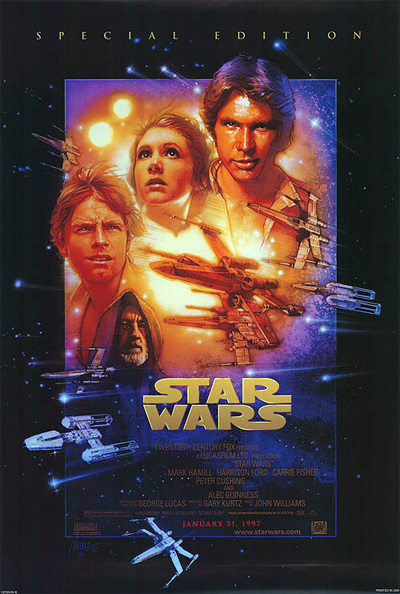 That was the original plan, however, the Star Wars – Special Edition was selling so well at the box office they delayed the release of The Empire Strikes Back – Special Edition until the following week, February 28, 1997. As I mentioned above, I couldn’t use photos of my own one-sheets for this post because of the reflection off the frames. So the poster below doesn’t exactly match mine. 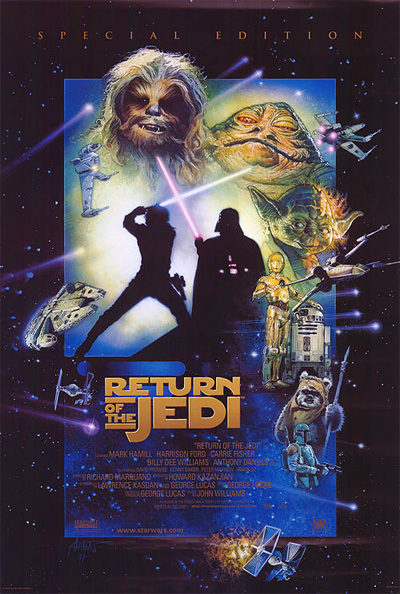 My Return of the Jedi – Special Edition one-sheet lists a release date of March 7, 1997. 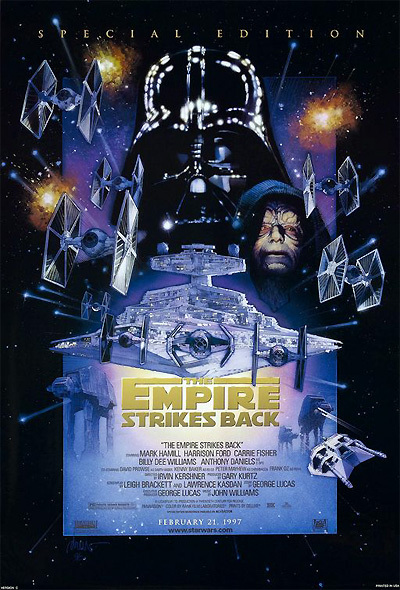 Similar to the release of Empire, Return of the Jedi – Special Edition was delayed a week so it actually came out on March 14, 1997. Next up is a teaser one-sheet promoting Star Wars Episode I: The Phantom Menace. There were several teaser one-sheets promoting this film, but this is my favorite. If you haven’t noticed already, check out Anakin’s shadow on the wall. 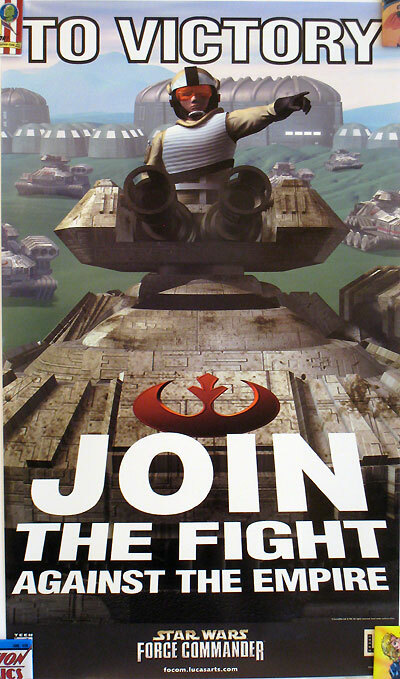 The next five mini-posters were made available after purchasing a LucasArts video game called Star Wars: Force Commander. 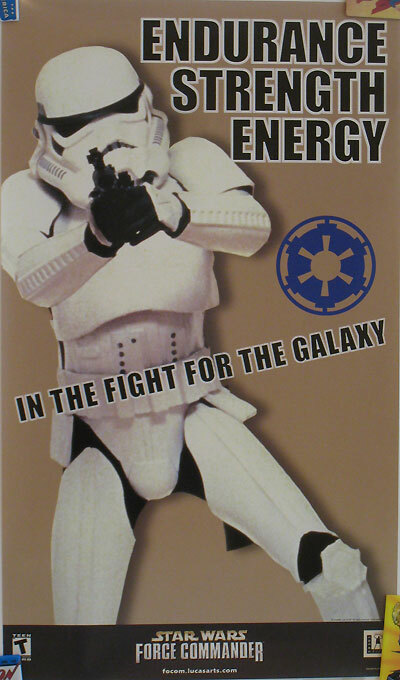 I thought they were fun propaganda posters so I ordered them. 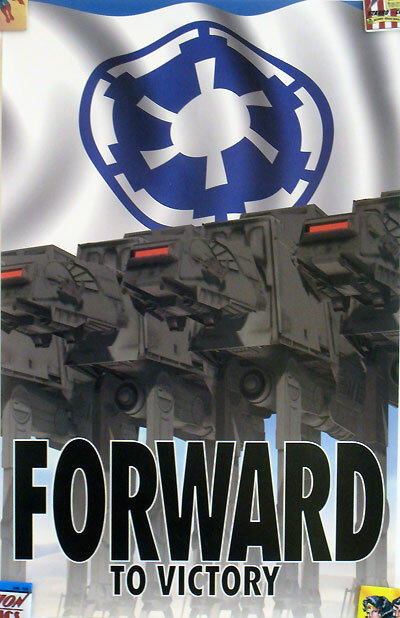 I liked the AT-AT poster so much I cut off the bottom and hung it on my wall for many years. 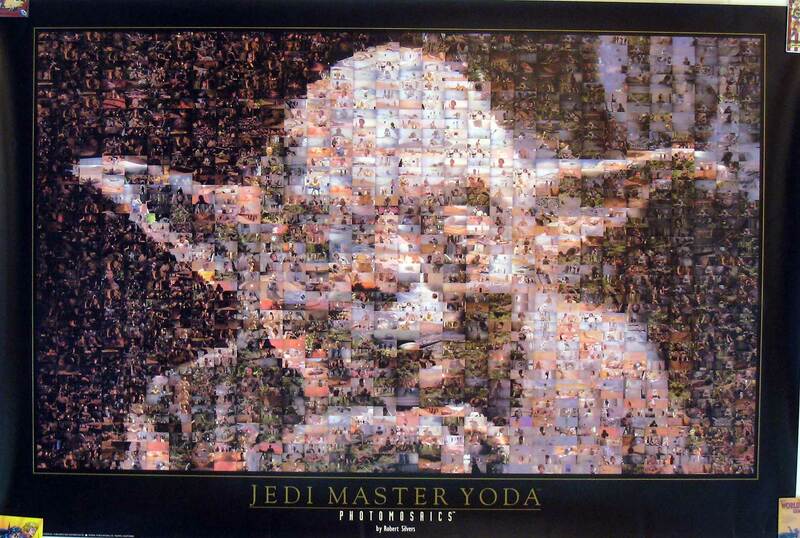 The next two posters are Photomosaics by Robert Silvers. 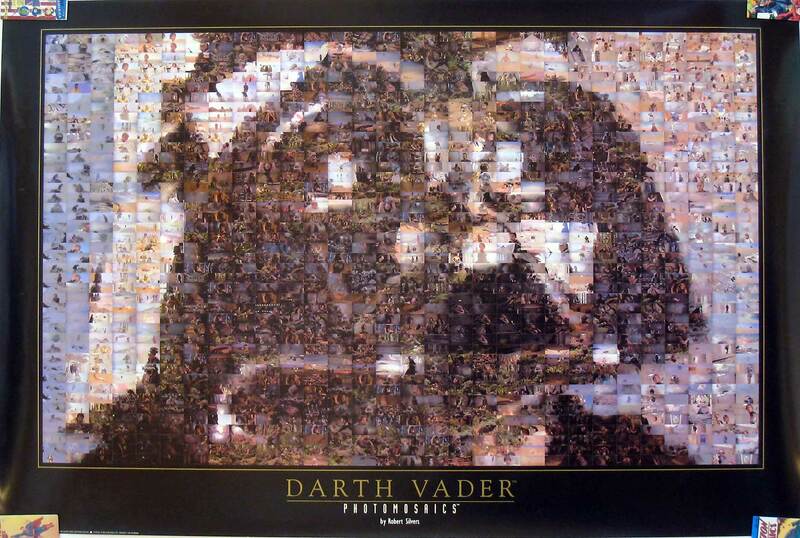 The image itself is made up of tons of tiny little images. When you step back far enough, you can see one image created from all the others. Click each image to enlarge. Come back tomorrow when we finish up our poster coverage with some other films, some Marvel comics, television, and other geeky posters. That teaser poster showing Anakin casting Vader’s shadow was pretty much the high point of the movie. 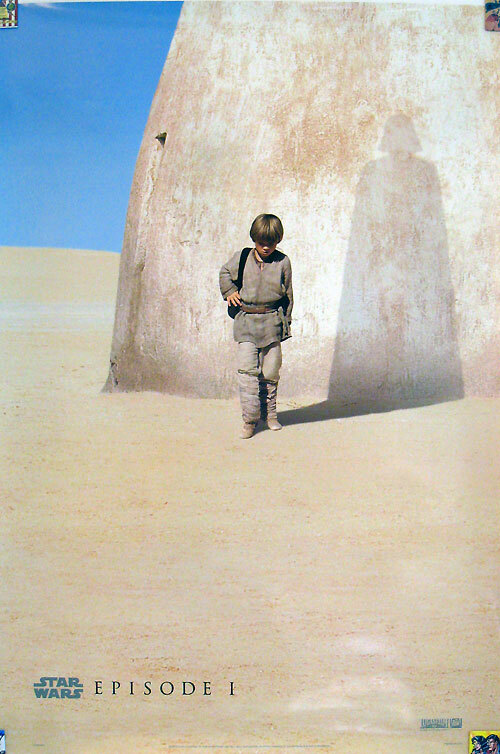 I had the Anakin’s shadow poster on my dorm room wall for a while, during the weeks leading up to the movie. The poster that really sticks with me, though, is one for the original movie that I remember my parents having when I was a kid. It was done to look like a layering of several posters on a wall, with some peeling off. I eventually picked up a reprint, right around the time that I realized I wasn’t going to have room on the walls for posters. Back to the shadow…I trust you’ve seen the poster for “Weird Al” Yankovic’s song, Ths Saga Begins? Kelson – I had seen that Weird Al image, but it’s been years. Thanks for bringing the funny! 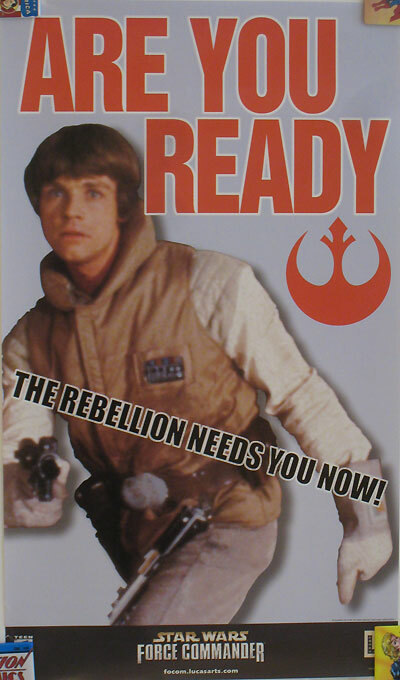 I’m not sure which original Star Wars poster you are referring to that your parents had. It sounds pretty cool though.